In the last chapter, we completed the routing of the tracks. We are very close to completing this iteration of the board. What is left to do is to add text labels. 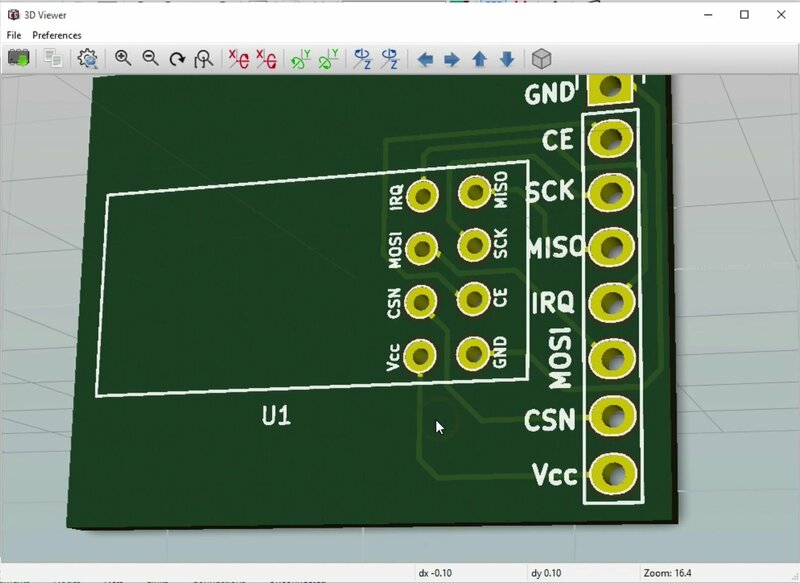 With text labels, we can mark the purpose of pins, the names of the components on the board, as well as give our board a name and a version number. Text labels are placed on the silkscreen layer. In a later chapter, I will show you how to also add decorative graphics to this layer. 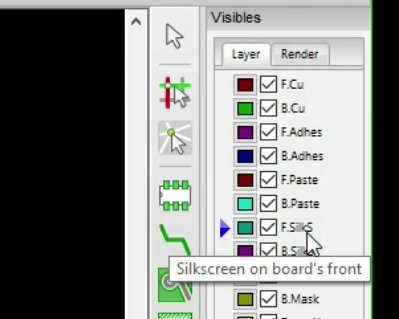 The Text tool allows you to add text labels on your board. Ensure that a small blue triangle indicates the F.SilkS is the selected layer. Let’s start adding the text. Start with VCC. Click somewhere on the left side of the bottom pad of the straight connector. The properties window will come up. Adjust the text properties so that the width and height are set to 0.8 millimeters. 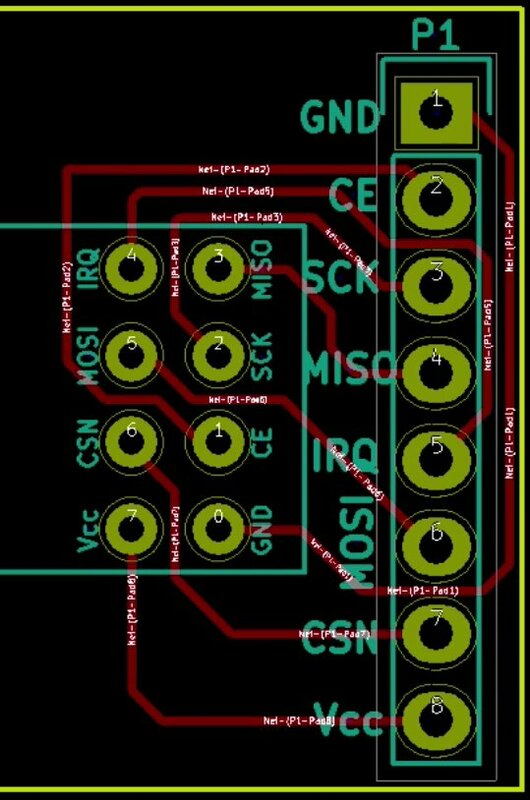 The thickness will be adjusted by Kicad. The text label properties window. 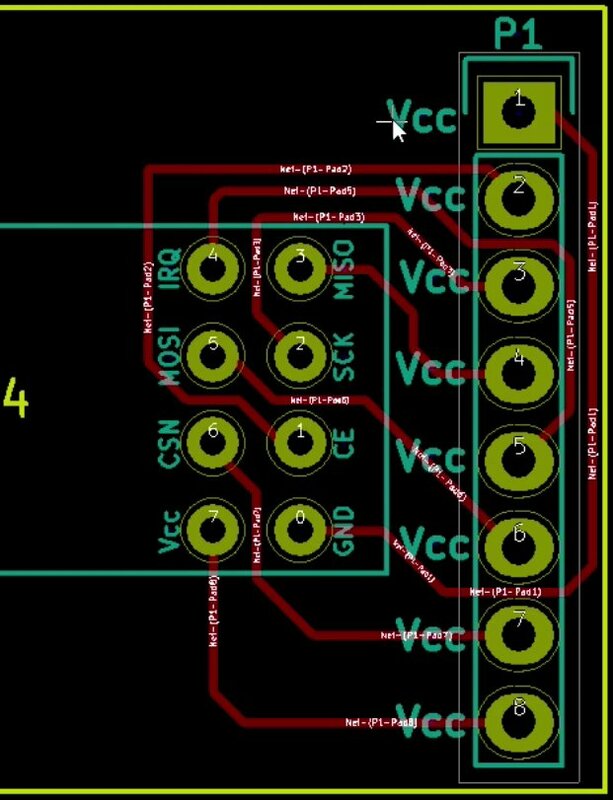 Click OK. You will see a warning message saying that the thickness is too large for the text size so Kicad will adjust it. 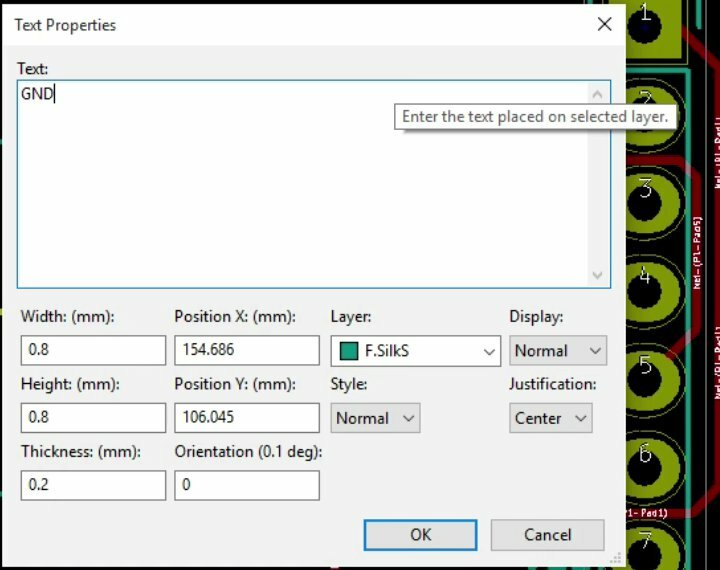 You can allow Kicad to adjust the text thickness based on the dimensions you chose in the properties window. 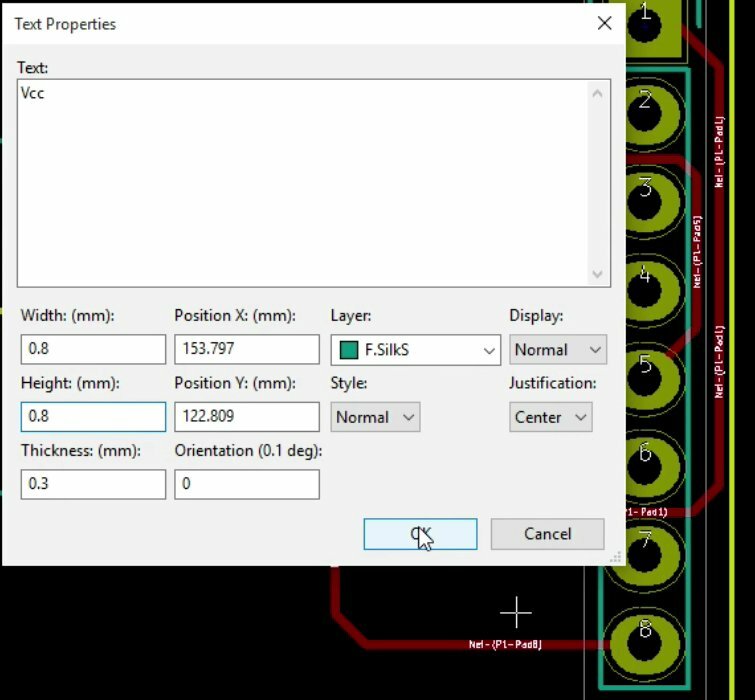 Click OK to accept Kicad’s offer to adjust the thickness. You will now be able to fine-tune the position of the text next to the label. Click to fix the position. If you change your mind and you want to move the text label again, hit the “M” key. We should create the labels on this board so that they are also uniform in the way they look. Now that we have created the first label, we can duplicate it several time, and then simply change the text, but not their other properties. To do that, I’m going to put your mouse over the text and hit control D and this will create duplicates. Do that for all of the connectors. You can also do this by using the C key, as this creates a copy. The board now contains duplicates of the original Vcc label. We’ll adjust the text for the duplicates. Now that the duplicate labels are in place, lets start editing their text. Start with the top one, put your mouse cursor over it and type “E” to edit. Change the original Vcc to GND. Change the original Vcc to GND, and hit OK. The straight connector labels, with their text edited. 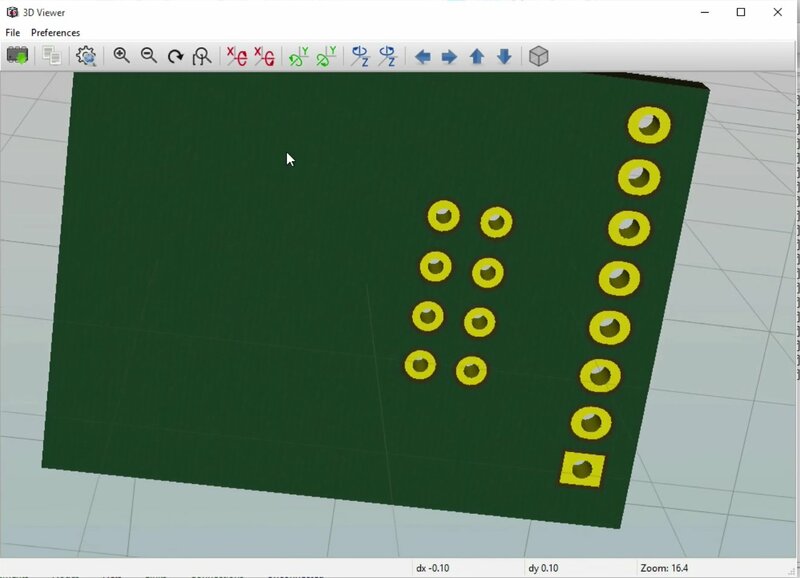 Bring up the 3D view of the board to get an idea of how it looks like at the moment. Let’s have a look at the 3D view off the breakout. Click on the View top menu item, and select 3D Viewer. Notice that in the front side view, you can see the copper tracks connecting the pads. The back side has no copper tracks, since we are making a single-sided board. This is your board, V1.0! This is your nRF24 breakout board, version 1! 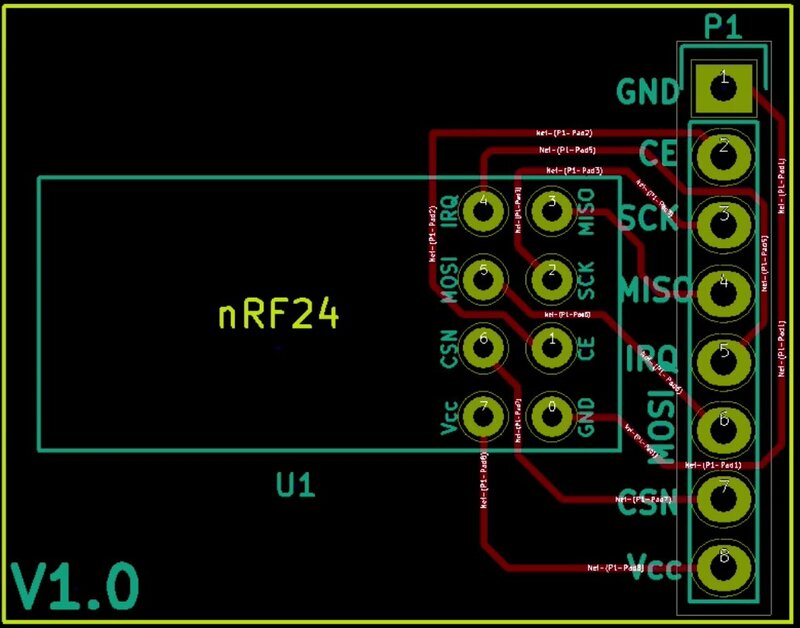 After finishing with the process of creating version 1 of the board, I just realized that we should include a capacitor to improve the reliability of the NRF-24. I also want to have a look into the issue of power tracks and learn about copper fills. Let’s explore these topics in the next section.